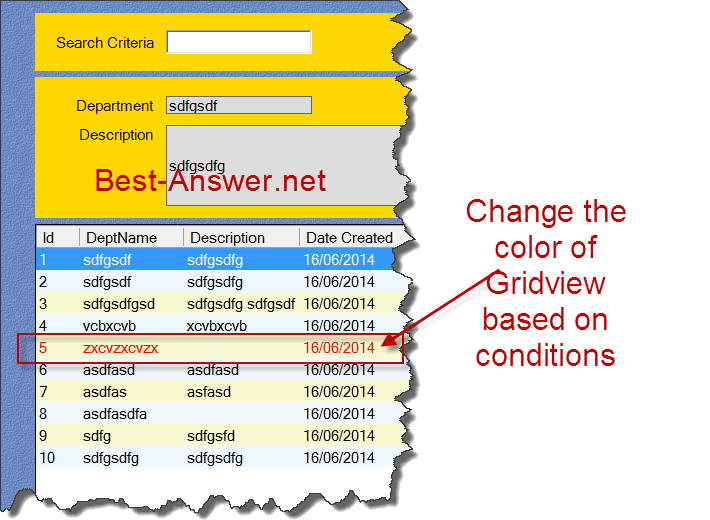 Here is a working code for changing the DataGridView row colors based on condition. 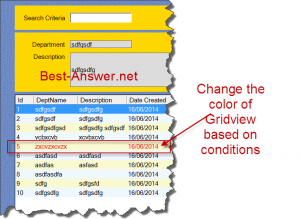 In this code I am checking if the Cell called “Date Closed” is present or not, so if a row item has a closed date present then I would like to show that row in Red Color. Here is the snapshot of the above code in action.